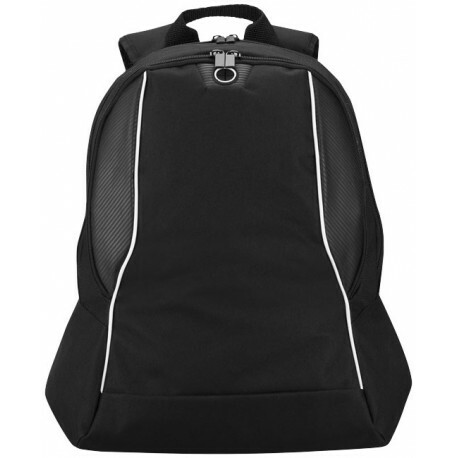 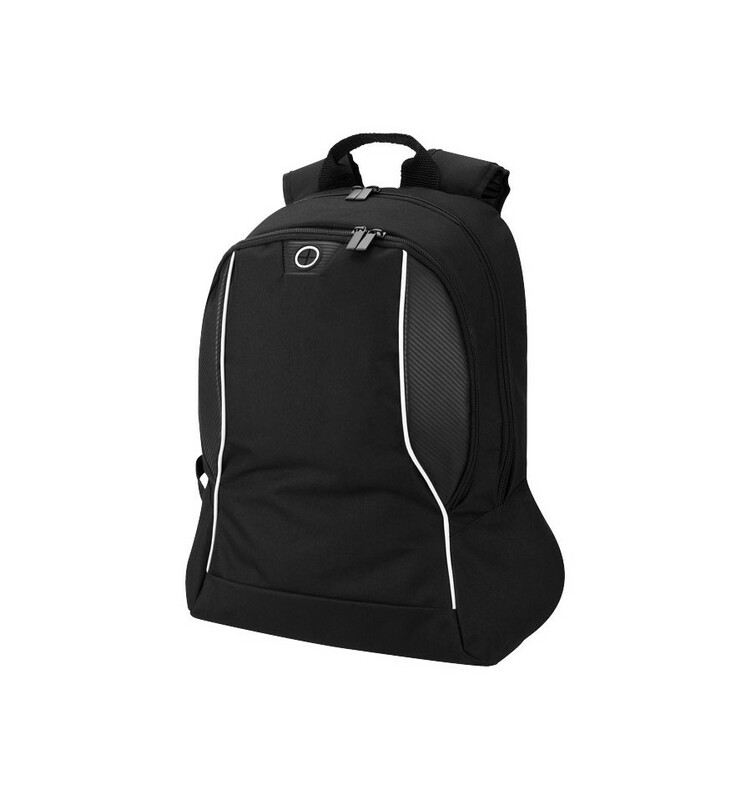 Stark Tech 15.6" laptop backpack. 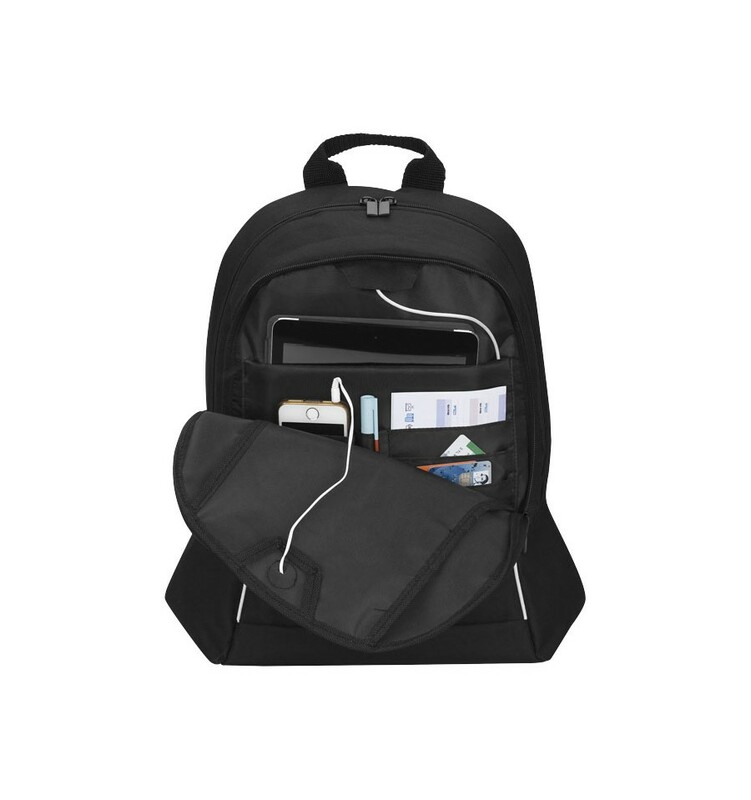 The zipped main compartment has a padded laptop sleeve which fits up to a 15.6” laptop, elastic organiser band to hold your mobile accessories. 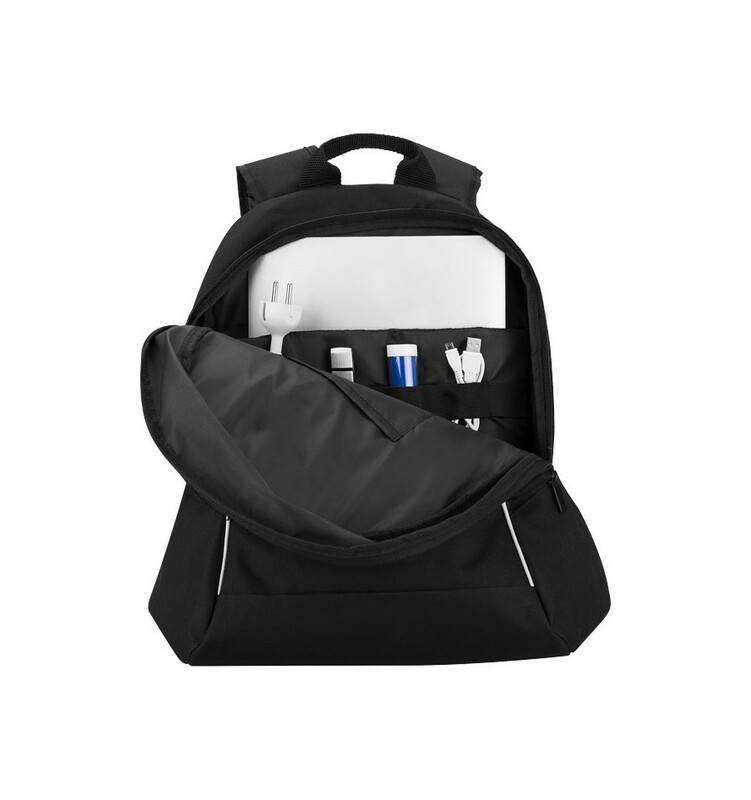 The smart pass-through port in the front wall to the front organizer pocket to charge your tablet or phone while on-the-go. 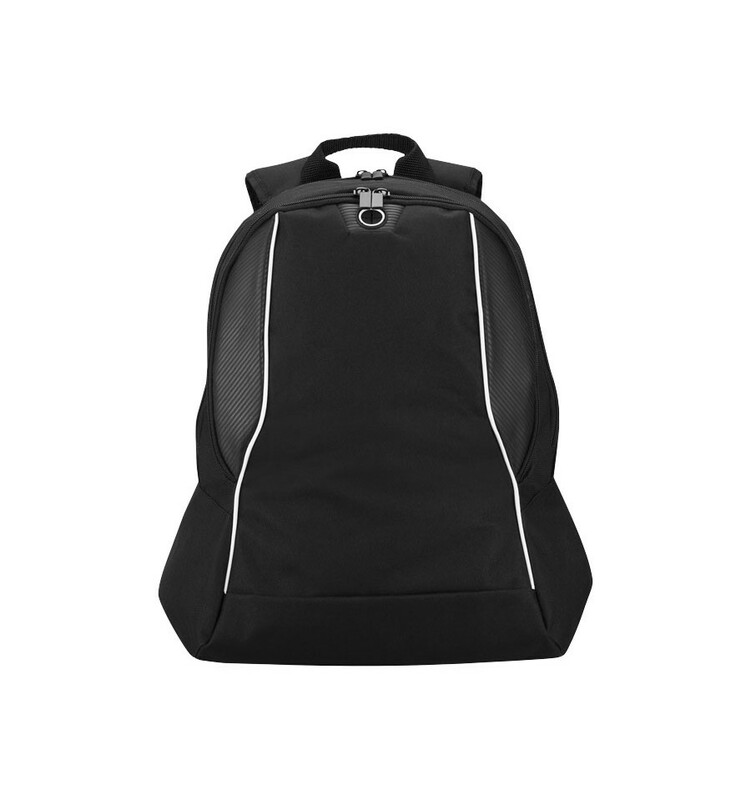 The zipped front compartment has a dedicated padded tablet sleeve, phone pocket and full organisation panel. 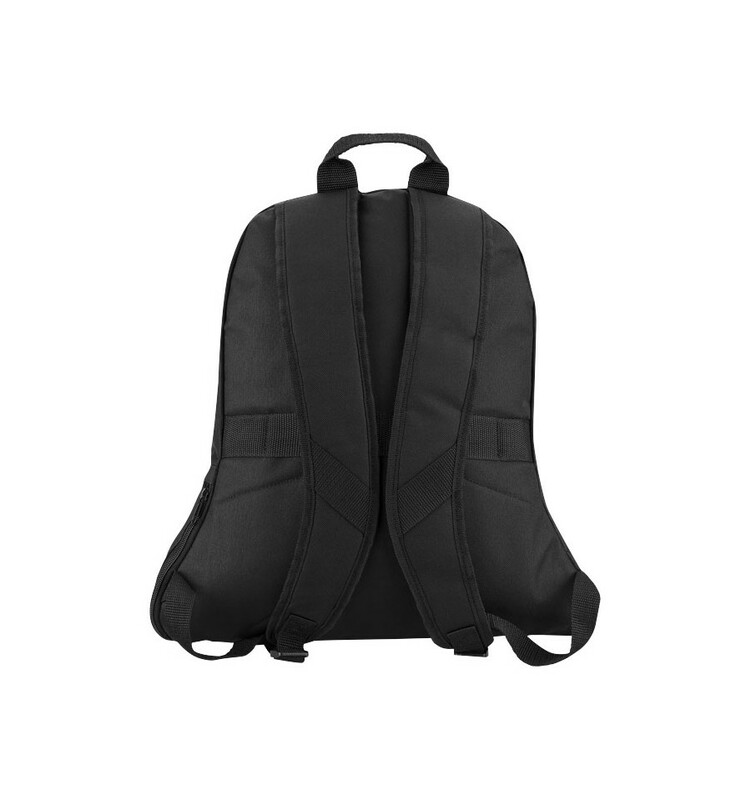 An earbud port on the front panel allows your headphone cable to connect to your mobile devices.